UPDATE at 3:08 p.m. : Rechanged the text. I was watching Platoon and saw Elias's memorable death (the soldier who died with both arms in the air that was used as the movie's poster and dvd covers) and remember the scan I had from MadMover and I thought why not do something with it. And for just 2 hours, I created it. It's just a simple plain grunge wallpaper. Riveting image. Very moving and lovely. I really enjoyed this beautiful creation. It's sad and gripping. Evokes empathy. It works with and without the text. Thanks for making this a large wallpaper, I hate 800x600. oh oh!i like the style of this wall withe the "grunge" bg the scan is good too,i love this wall! 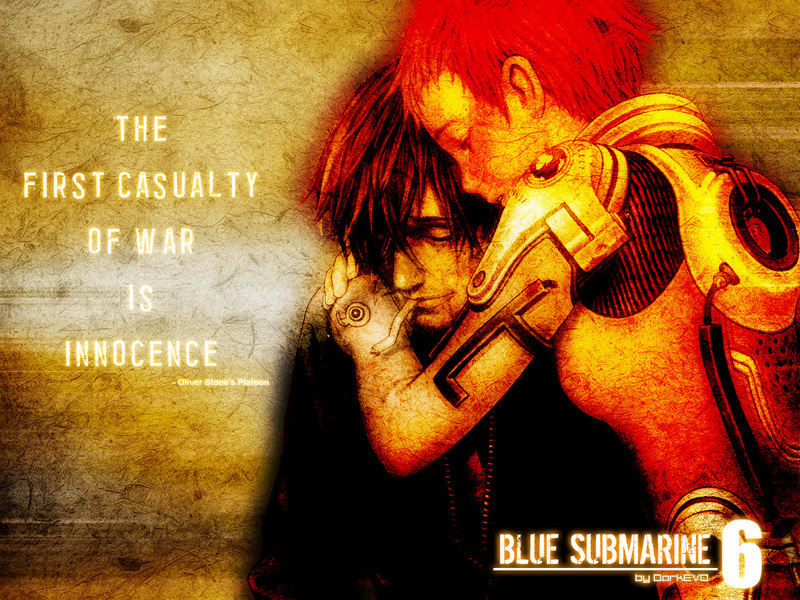 If ya ask me the first casuality of war is common sense ^_^. But yea it has a nice feeling to it , it reminds me of those old photo's.Very nicely done.